In 2014 Jono set up his first studio in a tiny basement in rural Devon. 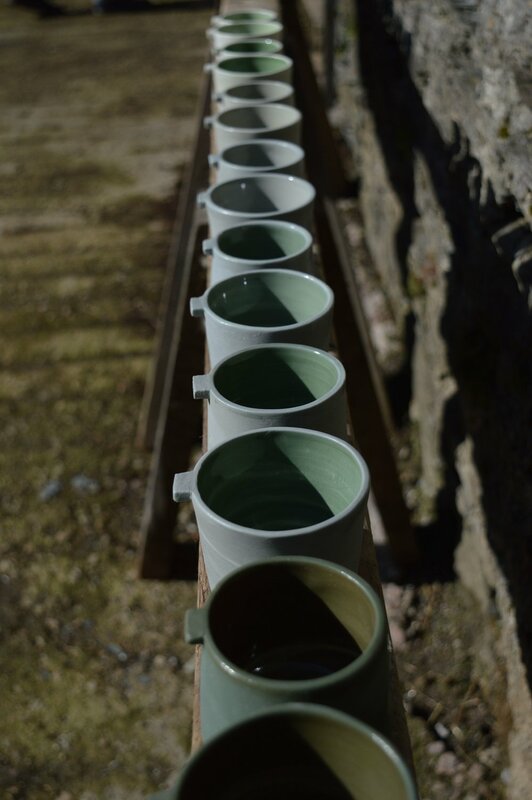 After purchasing his first kiln and wheel, Jono began a project that would form the basis of his studio work. He created 50 unique blends of clays varying the amount of oxides and stains added to the clay. Jono's intention was to show the clay body in its raw state rather than using the traditional method of glazing. 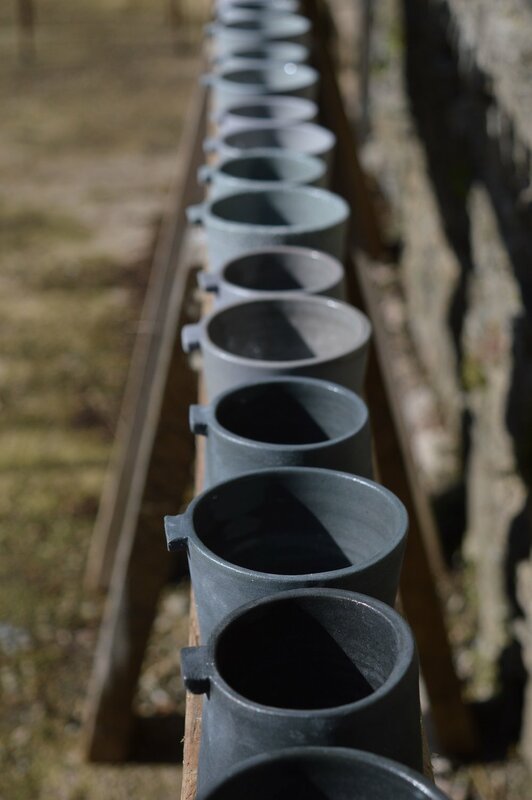 This self started project concluded with the making of 50 pairs of cups, two in each clay. They were numbered and photographed for posterity. The research that went into the mixing of these clays still forms the backbone of Jono's studio to this day.